Only four years after being elected the youngest mayor of Charlotte, NC—a part-time position—Anthony Foxx ’96 was unanimously confirmed by the Senate to be US Secretary of Transportation and the youngest member of President Barack Obama’s cabinet. He will lead the planning and support of the nation’s roads, air, and sea-based transportation networks. The confirmation capped a remarkable year for Foxx, a rising star in the Democratic Party. He delivered nationally televised remarks in primetime on the opening night of the September 2012 Democratic National Convention. Earlier that spring, he also addressed the JD graduates and their guests at NYU Law’s 2012 convocation with a humorous and inspiring description of his persistent efforts to land the convention for Charlotte less than one year after becoming mayor. The convention netted $91 million in new spending for North Carolina. 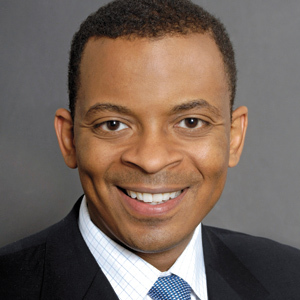 Since graduating from NYU Law himself, Foxx has worked not only in private practice but also in every branch of the federal government: He served as a law clerk for Judge Nathaniel Jones of the US Court of Appeals for the Sixth Circuit, a trial attorney for the Civil Rights Division of the Justice Department during the Clinton administration, and a staff counsel to the House Judiciary Committee. He is the third member of his 1996 Root-Tilden-Kern class to join the Obama administration in 2013 and joins Seth Harris ’90, acting secretary of labor, in Obama’s cabinet. At this rate, Foxx should consider changing his title to secretary of career acceleration.